This entry was posted in Addiction Treatment and tagged drug education, drugs decriminalization, treatment for abuse on June 15, 2017 by ohr_guest. 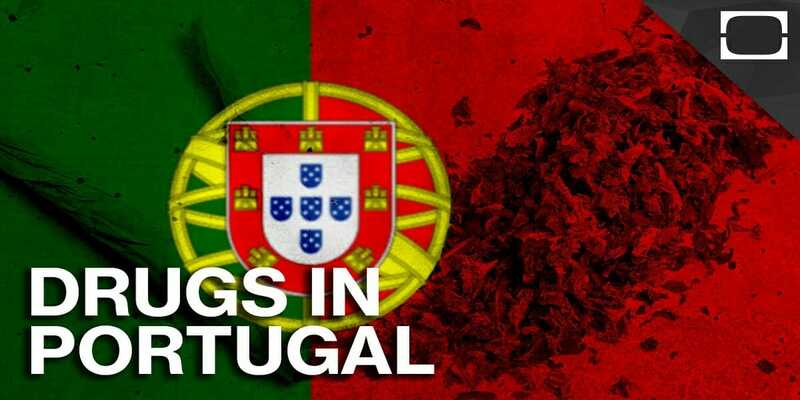 In order to understand how counterproductive the war on drugs in the United States has been, you can take a look at the Portuguese society's drugs decriminalization law and see how that has worked for them. A little over 30 years ago, the revolution led to a new idea of freedom. Everything changed in Portugal, a country that had been for the most part right-wing, conservative and Catholic, and was being led by a military dictator. The young men who were drafted to fight Portugal's wars in the African nations that had been colonized by the country were exposed to most of these addictive drugs for the first time and with little or no drug education, returned home with addiction. In a similar way to how Americans fighting the Vietnamese war were exposed to cheap drugs and liquor, the Portuguese had to now deal with an entirely new drug problem and everything that came with it. Portugal drug use and addiction became very widespread. By the early 1990s, a significant percentage of the country's population was hooked on heroin. The major drug epidemic, which was one of the largest in the world caused the government to look into innovative steps to tackle the problem. From 2001, the country completely decriminalized drug possession and use of any kind. Since then, it has treated it as purely a medical issue and not a crime. Drug dealers are exempt from the drugs decriminalization law that keeps those who are essentially sick, out of prison. The policy change has been widely accepted in the country and the idea of treating it like any chronic relapsing disease such as diabetes has created an environment where more people are actively seeking help for addiction. Under the country's current drug policy, anyone who is caught with a supply of any drug that is less than the typical 10-day amount consumed will receive state sponsored medical treatment for addiction and abuse. Instead of sentencing people in a courtroom, they are given a chance to work with health professionals who understand the disease and want to offer their assistance. The drug treatment process begins with a mandatory counseling session with government-employed sociologists who then help make the decision on how to proceed with their treatment by giving referrals. So far, the country has not only been able to ease the stigma with addiction but has seen a major drop in the rate of drug use and addiction, estimated at about 50%. It's pushing more of its citizens into programs like twelve step recovery, and it's doing it all without a crackdown, police state or drug war. By choosing to offer counseling and treatment rather than incarcerate a good percentage of its population, the country has thrived and statistically, Portugal drug use is now the lowest rate among Western European countries today.